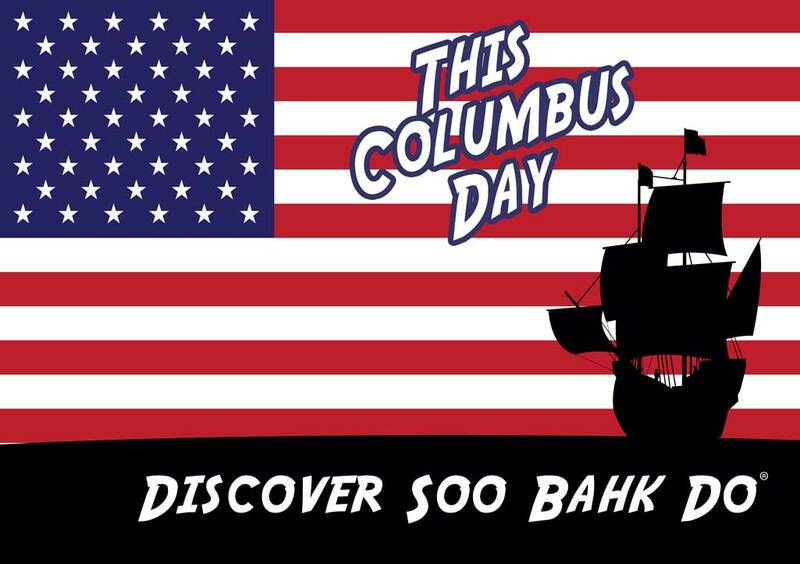 Have you considered running a new student referral drive linked to Columbus Day? 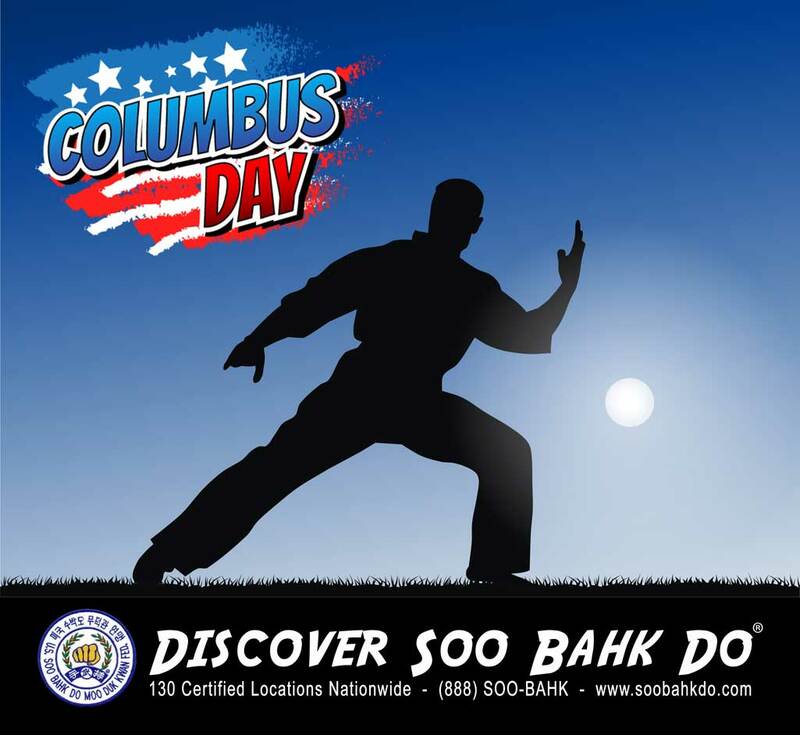 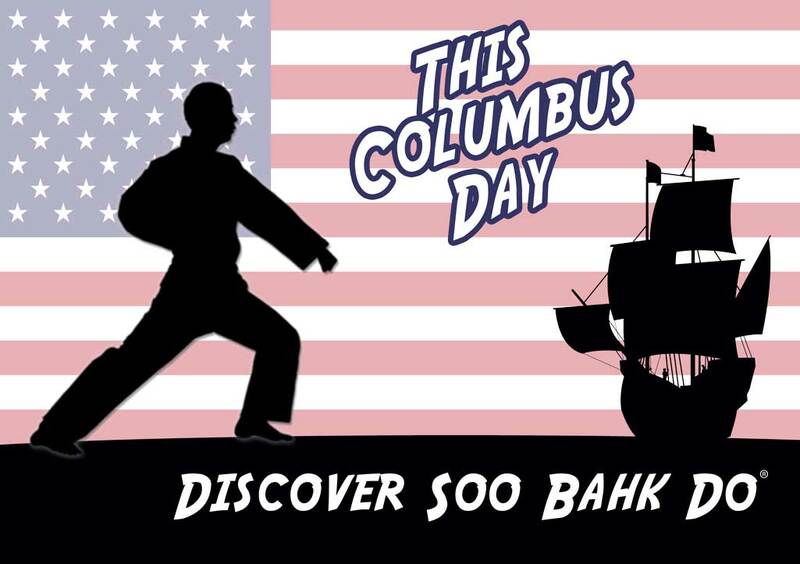 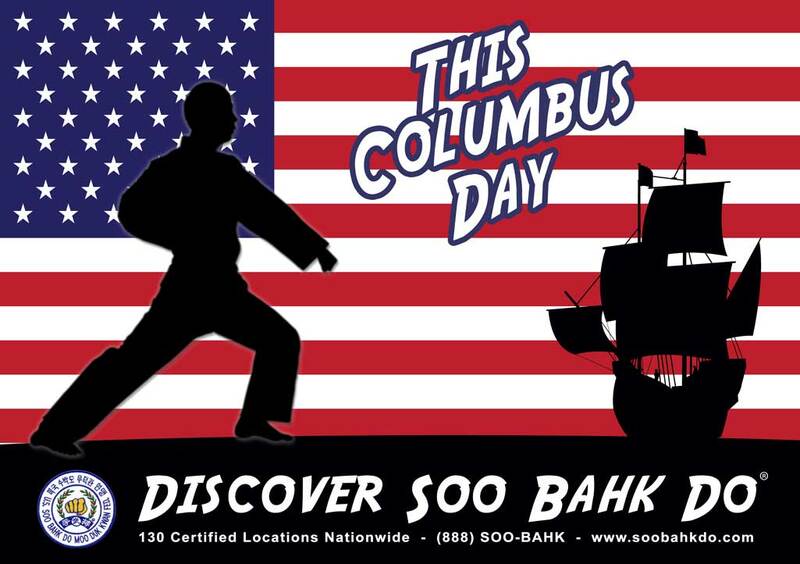 Help A Friend Discover Soo Bahk Do® This Columbus Day. 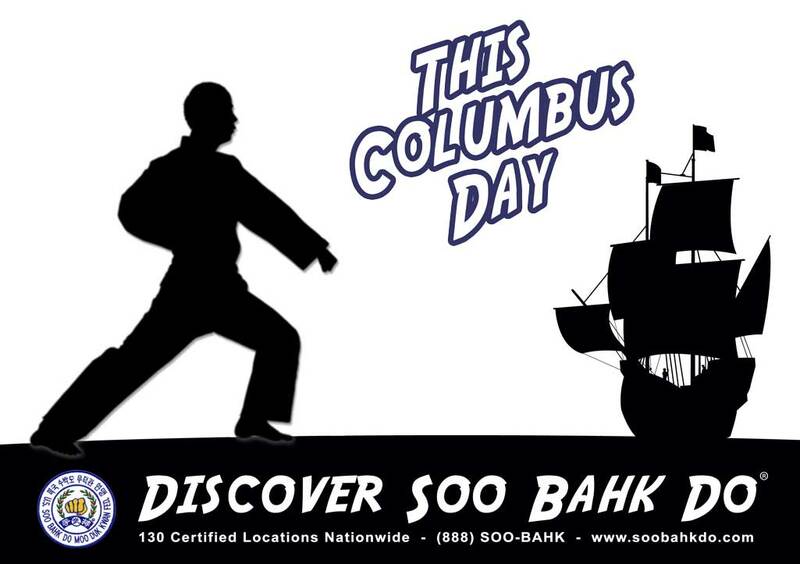 Christopher Columbus is given credit for the discovery of America and is honored with the National Holiday of Columbus Day in October. 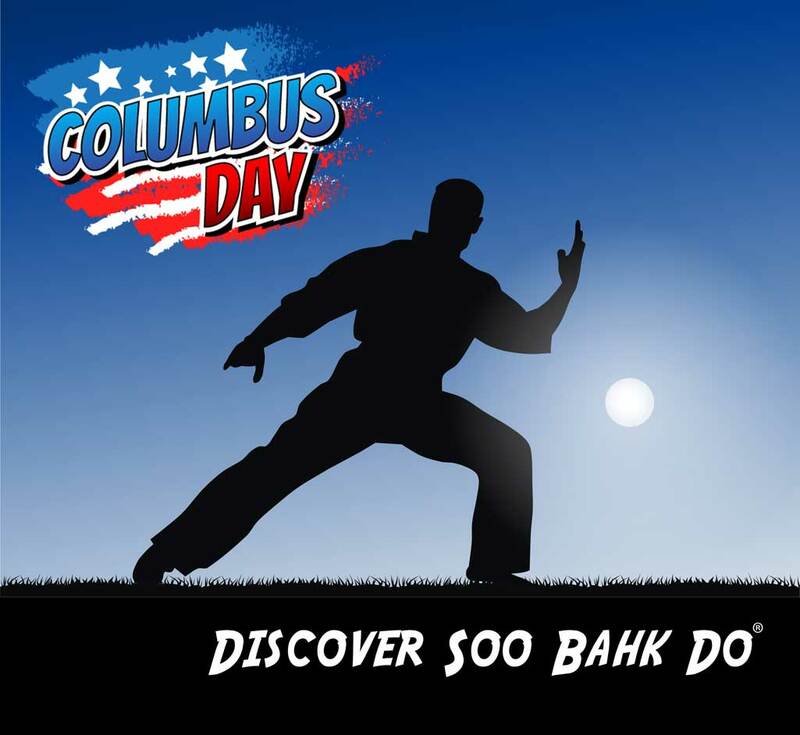 This Columbus Day (October 10, 2016) follow his lead, be an explorer and Discover Soo Bahk Do® at a Moo Duk Kwan® Certified school. 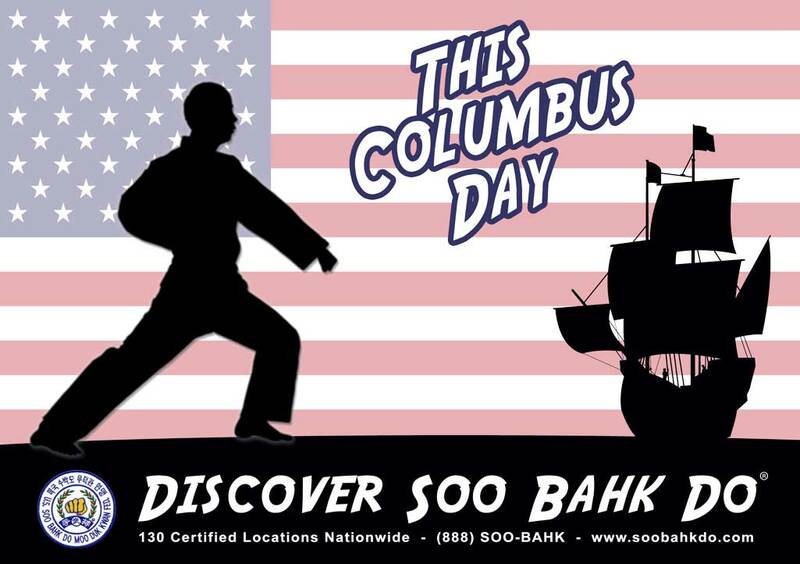 Download blank artwork below that you can customize with your school info. 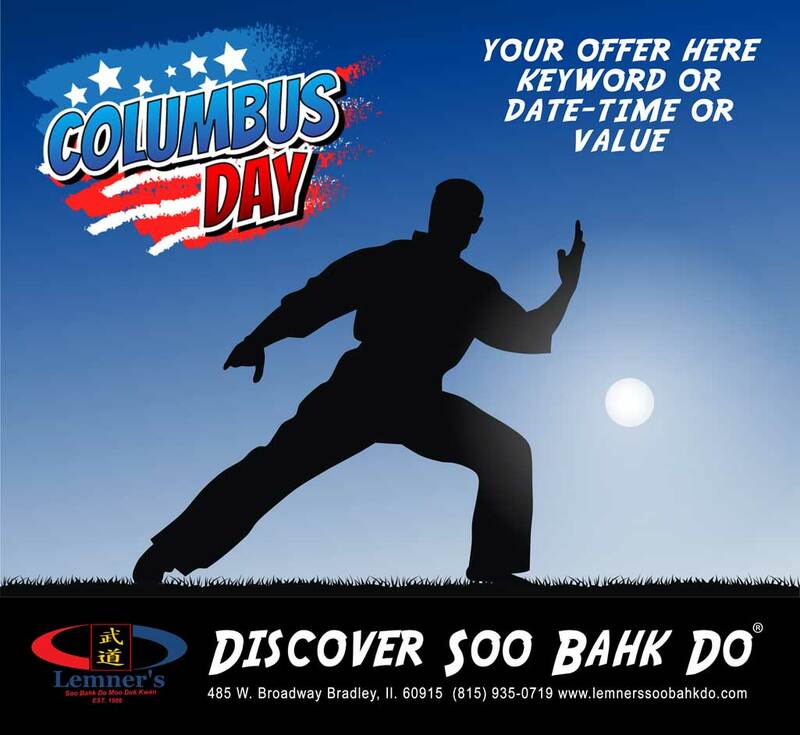 TIP: To add your school info to images without using graphics software, place the blank image in a Word Doc and then insert text boxes where you want to add your school info to display and set the text box property to display in front of the image.